Tacoma is one of the largest cities in the Puget Sound area of western Washington with a population of nearly 200,000. It is the county seat of Pierce County and is situated between Seattle to the north and Olympia, the state capital, to the south. Tacoma is well known for the Port of Tacoma on Commencement Bay of the Puget Sound; this is one of the busiest ports in the U.S. and the largest in Washington state. Tacoma is also known for its connection with Joint Base Lewis-McChord, the Pacific Northwest’s largest active duty military base, and as the site of the University of Washington Tacoma. It is the center of business and recreation in the Sound area with several casinos and entertainment centers known nationwide. 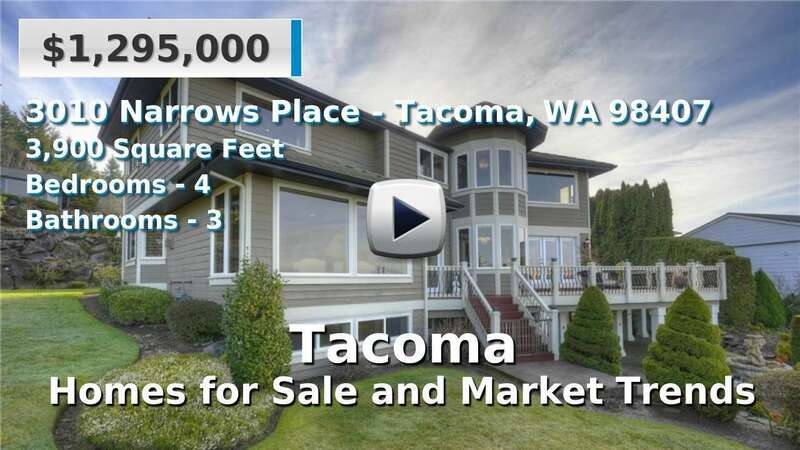 Homes, condominiums and townhouses for sale in Tacoma offer the full range of age and style for homebuyers, and due to the city’s prominence in the area, it is constantly growing and adapting. It also has a mix of newer communities and older homes with larger lots outside the city’s center. It is a popular place in which to live and work as well as commute to the greater Seattle area; an average commute here is about 25 minutes. 4 Beds | 1 Baths | 2840 sq. Ft.
3 Beds | 1.75 Baths | 1082 sq. Ft.
2 Beds | 2.25 Baths | 1644 sq. Ft.
6 Beds | 3.25 Baths | 1927 sq. Ft.
3 Beds | 1 Baths | 858 sq. Ft.
3 Beds | 2.5 Baths | 1503 sq. Ft.
3 Beds | 2.5 Baths | 1612 sq. Ft.
3 Beds | 1 Baths | 1220 sq. Ft.
4 Beds | 3.25 Baths | 3218 sq. Ft.
3 Beds | 1 Baths | 1293 sq. Ft.
2 Beds | 1 Baths | 729 sq. Ft.
2 Beds | 2 Baths | 1339 sq. Ft.
3 Beds | 1.5 Baths | 1602 sq. Ft.
3 Beds | 1.5 Baths | 1308 sq. Ft.
5 Beds | 2 Baths | 2498 sq. Ft.
3 Beds | 1.75 Baths | 3056 sq. Ft.